After going through some websites, spending a week here on the internet and you all may well aware about Disqus comment system. Though WordPress has it’s inbuilt comment system still if you want to add Disqus to your website in place of WordPress in-built comment system then you can do it it in few simple steps. When beginners come to know about Disqus comment system then they usually ask how to add Disqus to WordPress? For newbies adding something new to their website is not a joke. Every blogger need to think about adding any third party system to their WordPress website. As Disqus is not a comment system related to WordPress. It doesn’t have any connection to WordPress. Disqus is a third-party commenting system which provides you a new style of commenting to enable at your blog. How To Add Disqus To WordPress Site ? It’s very easy to add Disqus to your website in just two minutes. 1. Go to the Disqus website and make a new account and if you already have an account then you can login with the same account. I must tell you that you should sign up or sign in with the account from with you want to handle comments of your website. Disqus doesn’t provide access to any other account to be accessed. I am telling this because many beginners may think not to attach their common e-mail with Disqus and may try to manipulate it by their another account which is a wrong idea.There are some steps to add Disqus comment system. 2. Click to the “For Websites” option on the Disqus website. You can see this option clearly at the Disqus front page of the website. 3. A new page will appear in front of you and you will see an option to ‘Add Disqus to your site‘. You have to create the admin. You have to fill site name and a unique Disqus URL. It will appear like myblog.disqus.com. You have to choose the category of your website in the form. After filling all the information you need to click at Finish registration box shown at the bottom-right side. 4. After registration, you have to fill the platform of your website as WordPress and it’s easy to follow the instructions shown in front of you to add Disqus on your website. 5. You have registered your website to Disqus. To connect your website to Disqus you have to use a WordPress plugin named ‘Disqus comment system‘. Install the plugin and activate it. 6. After activation, go to the comments’ section and click to Disqus and it’s settings. Sign in with your Discus account. You will see the website which you have registered on Disqus, just select the website and click on ‘Next’ button and your Discus comment system will be enabled on your website. Why Should You Add Disqus To Your Website ? In WordPress, there is an inbuilt comment system which is simple to handle but if you want to provide your visitors a better comment system then you can switch to Disqus. As we all know there are thousands of bots who are seeking vulnerable website at which they can spread spam and comments are one of the main ways for that. At a WordPress website, you can use Akismet – a plugin which is used to block spam comments. Maybe for better security, you can use CAPTCHA to make sure that comments can be done only by humans. Loading Time :- If you have many comments on your posts then it will take much time to load all the comments but if you use Disqus comment system then all the comments will be placed on their server. You don’t need to panic about the comments loading time. Freedom To Uninstall :- Suppose you don’t like Disqus comment system to your website then you can easily remove it. You will not be bound with it after installing it to your WordPress website. Better Moderation Of Comments :- You can easily moderate the comments of your blog posts by going to your comment section, clicking to Disqus and you are provided with a option by which you will be connected to your Disqus account and you can moderate pending comments. Save Your Blog From spam comments :- Having many spam comments at a WordPress website can harm it. But if you add Disqus to your website then all the comments will pass through Disqus spam filters. Provide from signing to many websites :- If you have put your comment at any website which has enabled Disqus then you don’t need to login to any other website having Disqus and you can easily see replies to your comment done at any website which have Disqus. For every good system, there are some cons too. If someone wants to comment on your blog post then he/she has to login before dropping their comment. It’s really annoying for visitors. Due to this frustrating step traffic to your website may reduce. If something is wrong with Disqus then no one will able to comment on your website. Sometimes comments get approved without the moderation of the account owner. I hope you all have got the idea as how to add Disqus to WordPress website? All the pros and cons of Disqus are in front of you. If you want to switch to Disqus comment system then all the steps are explained in the post. Still, if you face any problem then you can contact me. This is my first visit on your Blog, i stopped to your blog through Adrienne’s blog. Great guide for dummies to add disqus to their WordPress blog but if you ask me which commenting system i’d prefer then my answer will be “default wordpress commenting system”. As it’s not possible that every person who stops by your blog have a disqus account and it’s really frustrating to sign in before leaving comments. WordPress commenting system enables commenters to get some link juice by leaving comments and there is no such kind of facility in disqus commenting system, it means you are more likely to notice decrease in the number of comments after you enable disqus. I agree with your point that it’s not possible that all visitors have Disqus account. May be you didn’t notice but I have considered it the cons of Disqus comment system that due to frustration many people will not comment after seeing Disqus. Thanks for stopping by and commenting at my blog. I appreciate your reply Ravi. Well, i have noticed that you’ve mentioned cons too and i fantastically appreciate it because many bloggers only mention the pros of the things they discuss in their articles but you’ve covered both. And it’s really good for me that you liked the post. In as much as many people don’t like Disqus commenting system, it has many cons though and it’s a great showing newbie blogers how to go about it. Yes, Discus is wonderful, especially for new bloggers and even others who prefer a good commenting platform, free of spam. Besides the loading time, which people cannot wait for, and the signing in one has to do each time, there are only good points for it I would say. I used it when I was on the Blogger platform on my first year of blogging and even when I switched to WP a little later, until CommentLuv came up, and once it came up, there was no looking back. I think it’s a very clean commenting system and many top bloggers use it too, so it does work well, and cons you will see in every commenting system for that matter. I guess it depends on what you want to choose for your blog at the end of the day, isn’t it? Yes you are right every commenting system has some cons and pros. It’s dependent at the blogger whether he/she wants to use disqus or not. Thanks for stopping by and take time to comment. It’s good to know about different kind of things for beginners. I hope it will be beneficial for newbies. Recently I also noticed that WPBeginner has switched to Disqus. The only thing that I have Disqus is because I hate it when I have to comment on Disqus powered site. Good instructions though for those that want to use Disqus. Hey, hope you’re enjoying your weekend. I don’t think that if I need to tell you about it. You know we are here to provide guidance to knowledge seekers, it’s not necessary to use our own. We are providing information about different things but it doesn’t mean we have to use it as our own. A well reputed blogger like you don’t need to ask this. We are here to help and according to the present era of blogging we are providing the way to use these particular things. You know it’s really hard to learn something new for beginners. I am just trying to give them an easy path. And it’s just the matter of choice. I like default comment system. Thanks for your comment. You comments always make my mind active to think again. You sure have given great instructions of how to use Disqus! The only thing I don’t like about it is that you have to log in. I like my commenting system on my blog so far…. But if I ever decided to use Disquis, now I know how to do it! Yes I agree with you. It’s really frustrating to login for dropping a comment. But still there are many famous blogs which are using Disqus. You’ve written a useful tutorial which I am certain will fill a need. 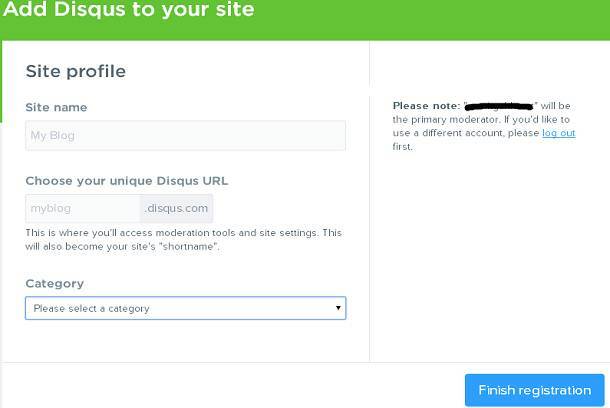 you have posted a great article about how to add Disqus to a website.by using Disqus to a website for commenting section we can avoid spam comments thats a great thing for website owner. In the view of users who go for comments also it is good because no need to fill the details everytime when we go for commeting section of same site or may be other sites also . if sign up once with Disqus it will saves all the comments posted by us at evey website ,and no need to login(or)fill our details if we are going to comment on paticulr post of a blog. Thanks for spending some time to put your precious input. You are right disqus has many advantages but as you know there is always some negative points too.